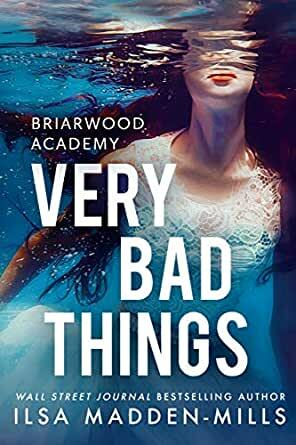 Very Bad Things ( Briarwood Academy Book 1) (English Edition) eBook: Ilsa Madden-Mills: Amazon.fr: Amazon Media EU S.à r.l. Everyone thinks Nora Blakely is perfect. And why wouldn't they? Valedictorian of her class and a Texas beauty queen, she's well on her way to Princeton after kissing everyone goodbye at graduation. Until the day she cracks wide open in front of the entire school. Leo Tate is a tattooed bad boy who's sworn to never fall in love, especially with a high school girl. But she keeps showing up at his gym, wearing short skirts and tempting him with her list of bad things. He wants to resist her, but with one touch of her lips, forbidden love has never tasted so sweet. Welcome to Briarwood Academy . . . where sometimes, the best things in life are Very Bad Things. 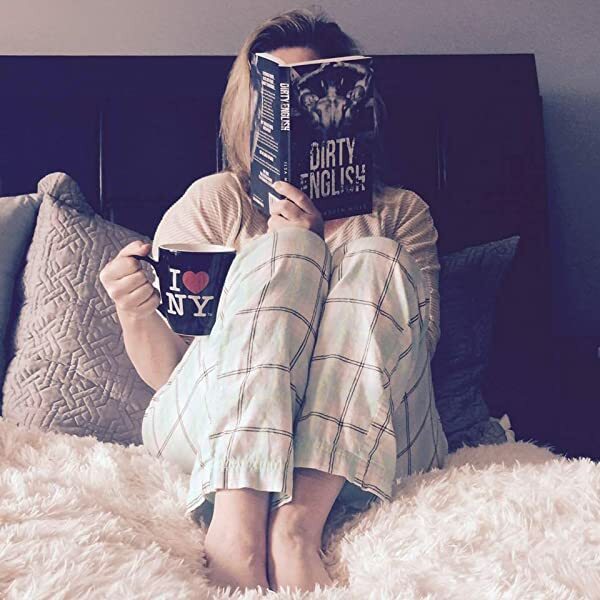 *Author’s note: Each book in the BW series is written as a stand-alone love story following a new couple, but you’ll enjoy reading the other titles and seeing familiar faces return. Mais...mais à certains moments j'ai trouvé que l'intrigue n'était pas assez développée et qu'elle n'était pas toujours cohérente et réaliste. Par expl quand Finn menace Nora Sébastian parle de contacter la police, d'en parler à Leo etc mais rien ne se passe parce qu'il ne veut pas rompre la confiance de Nora et que Nora veut attendre. Quand finalement Leo est au courant j'aurais cru qu'ils feraient enfin quelque chose mais non rien...Leo ne va même pas en parler à Nora. 5,0 sur 5 étoilesVery Good Read! I was browsing Facebook and saw a teaser for this book that caught my eye, so I decided to check it out in Amazon, only to find I already owned it! (Love when that happens) I also found that I'd already read Sebastian's book a couple years ago so I decided it was past time to read about his older brother Leo. Omg this book! I didn't intend to, but I stayed up all night just to finish. I HAD to know what was going to happen next. They're a lot going on in this book and I don't want to spoil it. Nora had secrets that have been weighing on her so bad and for so long that she gets to get breaking point. Leo is trying his hardest to push hey away because he's afraid of losing someone else he loves. The chemistry between these two is off the charts! They have this push/pull that they keep going back and forth that at times was almost too much to bear. I hated that Leo couldn't just see what was in front of him. I hated that Nora seemed to be on a path to self destruction. They needed each other and were stubborn about giving in. Well, Leo was anyway. I was on the edge of my seat waiting to see how each little thing was going to play out. I loved Nora's friendship with Sebastian. It's like insta love but in a sibling way. They were bff's right away and it felt like they'd been friends forever. Really I just loved everything. This book was amazing. Slight spoiler alert: the one thing I wasn't happy with was Leo being with Tiffani. Technically him and Nora weren't together so it wasn't cheating, but the feelings and chemistry between them had been established so it felt like a betrayal to me. I get he was trying to push her away and deny how he felt about her -both to her and himself- but I didn't like that. The one saving grace about that situation was that Leo and Nora didn't hook up right after. Leo was stubborn and refused to let past hurts and fears go. I understood, but I didn't like it. The other thing that made it better was that Nora didn't sit around waiting for him. She started dating someone else when she realized Leo wouldn't let himself love her. She knew she had to find her own happiness. It was heartbreaking to see though. She knew Leo was her soulmate but she also knew he had to come to that realization on his own and she couldn't force it on him. It took losing her to make him see what was in front of him all along. Ok that's all I can say. I've already given too much away. This book was not what I was expecting. I didn't realize the depth and serious undertones it would have. I didn't expect it to reach in and grab ahold of my heart and not let go. I'm glad it did though. It was a heartbreaking and beautiful story. I haven't read all of this authors books, but I can say that there hasn't been one I did read that I haven't loved. 4,0 sur 5 étoilesI'm hooked! This was my very first novel of Author Isla Madden-Mills. In the beginning, I honestly wasn't sure that I even liked Nora. But I warmed up to her as her layers were slowly peeled back. She really lost out when it came to her nuclear family. I couldn't believe what a massive witch her mom was or how M.I.A. her dad was. She did have a wonderful aunt and eventually a nice support group via her connection to Leo. I enjoyed how she worked through her issues and became a stronger version of herself. The girl had guts in a big way. Leo, oh boy! I liked him immediately and really admired his more mature strength of character and his incredible self restraint in light of the temptation created by his immediate attraction to teenage Nora. Their attraction eventually makes total sense in light of their personal histories though, so I didn't have as much of a problem with their age difference as I could have if their circumstances had been other than what they were. Leo's younger brother Sebastian added some nice levity to the story, and I was relieved that he didn't have a cliched type of relationship with Nora. Nora's half brother Finn, well to put it simply, was a complete and utter douche canoe. I felt the same as Nora when his fictional fate caught up to him. I also really liked Teddy, a play by ear Autistic musician in Leo's band. He was just so innocent, earnest, charming, and all around delightful. Drew, Nora's academic nemesis and first crush/teenage hook up, was actually not at all the slime ball I thought he might be. Nora knew plenty of guys that fit that bill and also a couple of mean girls to round out the Briarcrest Academy crew. It certainly wouldn't be high school with all those character types. I have no idea what the next novel in the series is about, but I'm looking forward to finding out and hanging out again n the Briarcrest Academy universe. Very Bad Things is my first read by Ilsa Madden-Mills and it was amazing. Even though I wanted to ring Nora and Leo’s neck at times, I completely fell in love with them and their story. On the outside, Nora Blakely has it all. She’s nineteen and has what every girl wants. On the inside, she’s unhappy. It’s not the life she wants. She leaves it all behind and becomes the complete opposite of what has always been expected. A bad girl. Her goal is to do every destructive thing on her list and one of them lands in the path of Leo Tate. Her soulmate. Leo Tate is six years older than Nora. Falling in love doesn’t exist. The only thing he cares about is his gym and his brother Sebastian. He sees Nora as everyone else sees her on the outside not what’s hidden underneath. There’s an attraction between them. He fights it by staying away. When they keep their secrets hidden from one another, all it does is push them further apart, breaking each other’s hearts. An emotional roller coaster. One that will pull at heart strings but worth every tug.